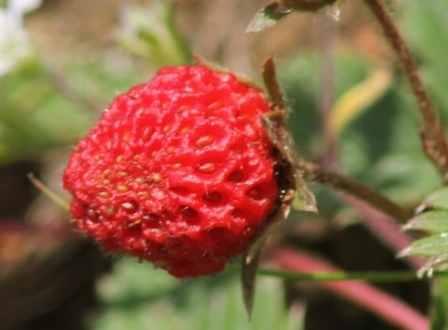 Bhoomphal strawberry is a kind of wild strawberry that growing in Western Himalayas at very high altitudes, around 10,000 ft. 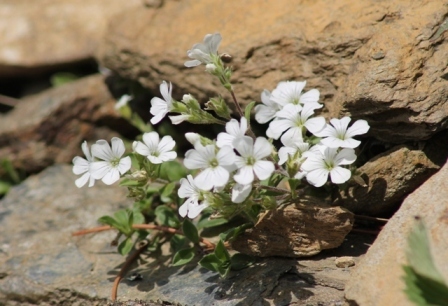 The small plants cover the hill slopes and with their attractive white flowers and red fruits present a very good look. The fruits are very tasty with a pleasant blend of sweet and sour. 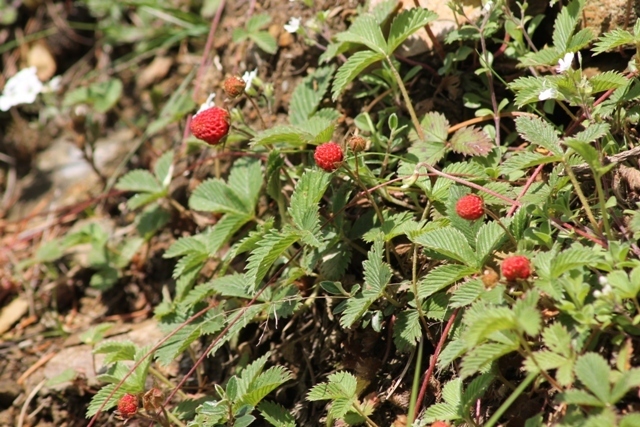 Bhoomphal is different from Bhuin aakhe, another wild growing strawberry of this region. Bhuin aakhe grows at lower altitudes. It has yellow flowers and insipid fruits. Whereas bhoomphal strawberry grows at much colder places, has white flowers and very tasty crunchy sweet and sour fruits. The other alpine strawberry (Fragaria alpina) grows in America and Canada and has much larger fruits. Leaves thin, light green, coarsely serrate, dentate. Flowers white, in small clusters. Fruits ovoid or sub-globose, red, with very prominent achenes. Bhoomphal strawberry fruits are aromatic and delicious. These are fondly eaten by local people. However, these are not sold. The fruits contain water, 87-88; sugars 3.0-4.5; free acids, 1.33-1.65; and ash 0.6-0.7 per cent. Bhoomphal strawberry has some medicinal uses too. Bhoomphal strawberry is reported to have some medicinal uses too.